Riya was very happy in her house after declaration of school final examination result. Her parents were finding all reasons to praise their only daughter. It was a proud moment for them as Riya’s result was unparallel in the locality. 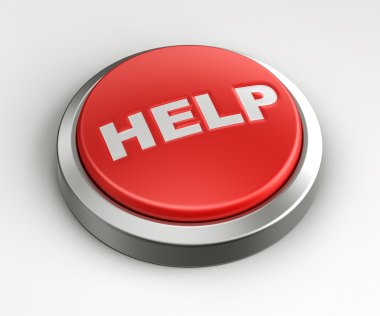 NOW AFTER HIGHER SECONDARY EXAMINATION….. This time, Riya is in somber mental disposition to see the changed family atmosphere. Everybody is blaming. “I find no way except to run away from my house…I have written so long long answers, still trouble, trouble and trouble…I am not a worthy student…It is difficult to survive with declined marks,” Riya thinks to herself. “But where should I go?…No where!…It is better to finish my life…Yes, this is the only path for me,” she nods her head in immense thinking. She sights a small book lying on the table. She starts turning the pages. “O performer!” Some one calls out from the book. Riya starts looking every pages with intense curiosity. The book is addressing her, saying performer. “Do you want to run away from your house?…Are you harboring desire to diminish your life?” the book asks. “But how should one book know about my thinking! Riya thinks. “Yes, I know everything about thinking…I am your book…I am your friend…It is my duty to protect you from bad decision of life!” the book says. Riya feels curious to talk with this book as the mysterious book is talkinh with love. “Think about that pretty bird…amid all shower of rain.. just by holding the branch of a tree faces all troubles of life.. who has told it to suffer?.. “O my dear human performer!… Cherish and perform again!” the book says. “Why are you addressing me…perfomer!. .performer!.. I am a student!…I am a learner!.. Performing system is related with matured person?” Riya asks. “O my dear performer, surge ahead in your life!.. Your progress is the same as the flowing of a river!..Students mean the pillars pf a country. We have great expectation from you…” well before completion of the line, Riya retorts. “Again expectation from me!” and she starts laughing along with the book. “Ha!..Ha!..Ha!..But she finds no way to control the tear beads, rolling down from her cheeks. She has got the learning that a performer should never think about committing suicide or running away from troubles. On the other side, Riya’s father is watching the television in his drawing room. After all, it is a great entertainment to watch a cricket match on television. “Spectator!…O spectator!…Look here!” Riya’s father feels surprised to see a strange book on the table, whish is calling him with this name. Out of curiosity, he lifts the book. “Who is the successful player?” the book asks. “Oh so nice player he is!” Riya’s father starts praising the performance of his favorite performer. “Our Vinod Kumble…Our dearest Vind kumble!…Do you know that he has claimed fife wicket!” the father says. “What is your idea about system of success?” the book asks. “Success means five wickets there is nothing!” the father replies. “No!.. This is not exact definition of success!.. Success means innumerable failures!” the book says. “Innumerable failures means success!… What rubbish book !” the father scolds the books. “What is the bowling figure of your favorite bowler?” the book asks. “What?.. It is simple..25 overs..5 maiden..72 runs..5 wickets, this is the success!.. The winner has got five successes!” Riya’s father elates. “It means the bowler has made 25 overs…Right?” the book asks. “Yes, you are right,” the father replies. “If we multiply 25 with 6 per over than the figure comes 150…Am I right!” the book again asks. “I am not a week in mathematics…It is always right,” the father says. What does it mean!. .I am telling to you!…It means …Just try to under stand it…The bowler makes 150 valiant attempts, and in return he gets 5 successes…In other word the figure is like this.. The bowler makes 150 efforts, and gets 145 failures…Am I right?” the book asks. On being asked the father nods his head. He is not able to say anything as the mathematic calculation is right. “145 times he gets failure…he has conceded 72 runs also…Still the performer is a successful one!” the book elaborates. “Yes!.. Yes!.. He is a performer!… So failure.. and also successful…It is natural!” the father replies. “Your daughter is also a performer!.. So failure.. and also successful.. It is natural!” the book says. “Otherwise!… Oh, no!.. No!..” saying so he runs fast to see his beloved daughter. The loving call of a father always makes enthusiasm in the mind of his progeny. The scene is the exact representation of the same. “Riya!.. My dearest daughter Riya!.. I have faith in you…If I can have faith with Vinod kambli, the player, in spite of innumerable failures, what os wrong with my own daughter!.. Surely, you will perform well next time.. Go on with your life. I am with you always,” Riya’s father feels. “Whenever the earned father finds difficult to impart education in the mind of his own progeny, it is your duty to work as a doubt removing teacher…Ear is the imbiber of knowledge, it requires higher conservationist to get perfection in life. Every member of the family is laughing, but finds no way to control the tear beads. RONIT was very happy in her house after declaration of school final examination result. Her parents were finding all reasons to praise their only daughter. It was a proud moment for them as Ron it’s result was unparallel in the locality. This time, Ronit is in somber mental disposition to see the changed family atmosphere. Everybody is blaming. “I find no way except to run away from my house…I have written so long long answers, still trouble, trouble and trouble…I am not a worthy student…It is difficult to survive with declined marks,” Ronit thinks to herself. “But where should I go?…No where!…It is better to finish my life…Yes, this is the only path for me,” he nods her head in immense thinking. He sights a small book lying on the table. He starts turning the pages. “O performer!” Some one calls out from the book. Ronit starts looking every pages with intense curiosity. The book is addressing her, saying performer. “But how should one book know about my thinking! Ronit thinks. Ronit feels curious to talk with this book as the mysterious book is talkinh with love. “Why are you addressing me…perfomer!. .performer!.. I am a student!…I am a learner!.. Performing system is related with matured person?” Ronit asks. “O my dear performer, surge ahead in your life!.. Your progress is the same as the flowing of a river!..Students mean the pillars pf a country. We have great expectation from you…” well before completion of the line, Ronit retorts. “Again expectation from me!” and he starts laughing along with the book. “Ha!..Ha!..Ha!..But he finds no way to control the tear beads, rolling down from her cheeks. He has got the learning that a performer should never think about committing suicide or running away from troubles. On the other side, Ronit’s father is watching the television in his drawing room. After all, it is a great entertainment to watch a cricket match on television. “Spectator!…O spectator!…Look here!” Ronit’s father feels surprised to see a strange book on the table, whish is calling him with this name. Out of curiosity, he lifts the book. “Oh so nice player he is!” Ronit’s father starts praising the performance of his favorite performer. “Our Vinod Kumble…Our dearest Vind kumble!…Do you know that he has claimed five wicket!” the father says. “What?.. It is simple..25 overs..5 maiden..72 runs..5 wickets, this is the success!.. The winner has got five successes!” Ronit’s father elates. What does it mean!. .I am telling to you!…It means …Just try to under stand it…The bowler makes 150 valiant attempts, and in return he gets 5 successes…In other word the figure is like this.. The bowler makes 150 efforts, and gets 145 failures…Am I right?” the book asks. On being asked the father nods his head. He is not able to say anything, as the mathematic calculation is right. “Yes!.. Yes!.. He is a performer!… So failure.. and also successful…It is natural! “the father replies. “Your son is also a performer!.. So failure.. and also successful.. It is natural!” the book says. “Otherwise!… Oh, no!.. No!..” saying so he runs fast to see his beloved son. The loving call of a father always makes enthusiasm in the mind of his progeny. The scene is the exact representation of the same. “Ronit!.. My dearest daughter Ronit!.. I have faith in you…If I can have faith with Vinod kambli, the player, in spite of innumerable failures, what is wrong with my own son!.. Surely, you will perform well next time.. Go on with your life. I am with you always,” Ronit’s father feels. “Whenever the learned father finds difficult to impart education in the mind of his own progeny, it is your duty to work as a doubt removing teacher…Ear is the imbiber of knowledge, it requires higher conservationist to get perfection in life. 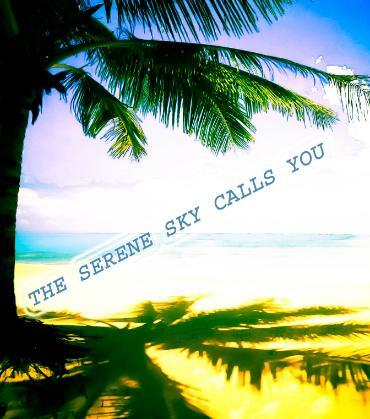 BOOK- THE SERENE SKY CALLS YOU… copy right reserved..
……….I WANT TO SEE HAPPY EMOTIONS..
HELP TO RELEASE THOSE CAGED BIRDS..
Serene Sky Organisation promotes a better world! WHAT DO YOU FEEL ?.. 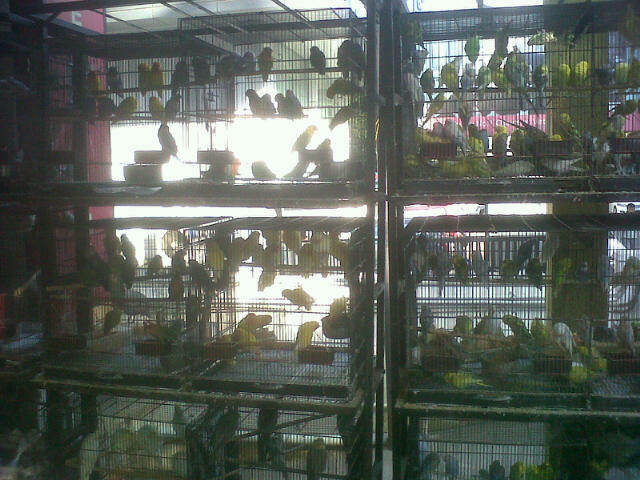 WORK TOGETHER TO FINISH THIS SYSTEM ..
HELP TO RELEASE THOSE BEAUTIFUL CAGED BIRD..50 BIRDS IN A SMALL CAGE.. IS IT RIGHT ? JOIN US , WE WILL MAKE A BEAUTIFUL WORLD !! !